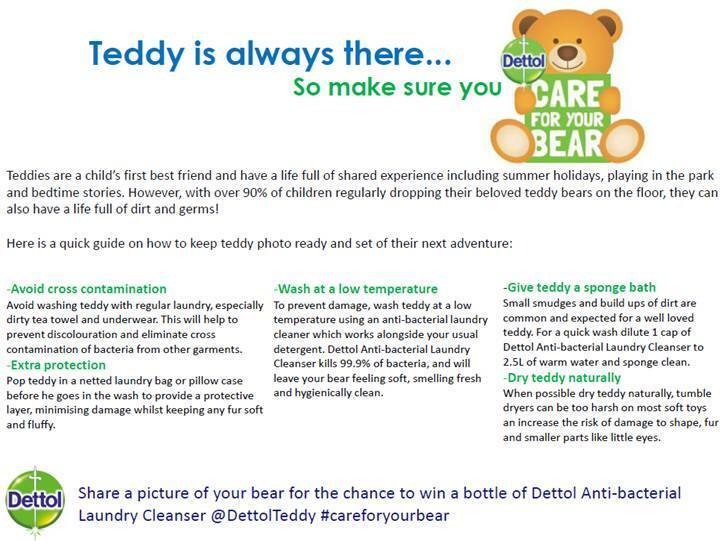 Research conducted by Dettol found that almost 50% of Mums worry about germs on soft toys yet nearly 50% of teddies were washed with contaminated items such as dirty underwear and tea towels and one in five teddy bears has never been washed at all! Laboratory research found that 25% of bacteria on teddies were linked to faeces and 66% contained staphylococcus aureus which is linked to skin infections, respiratory disease and food poisoning. Hello everyone, another look in my letterbox. I can't believe how fast the weeks are going, I seem to blink and they disappear. 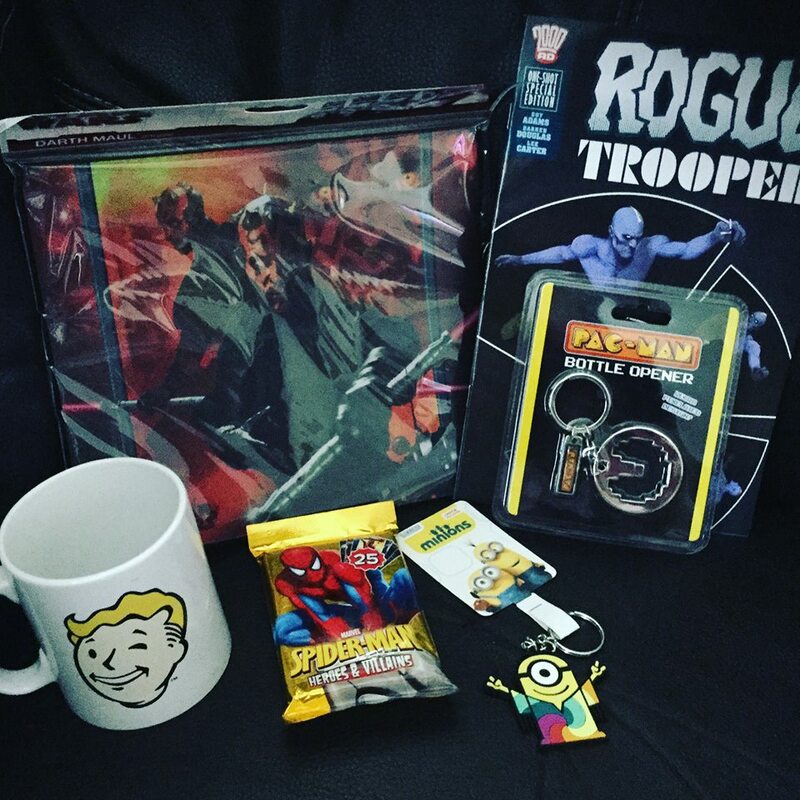 This is what goodies I have had though this week. 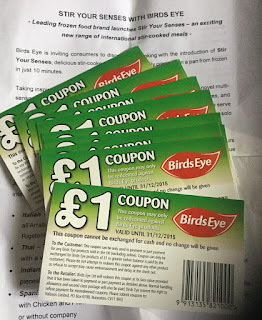 Birds Eye Vouchers To try out the new range. Kiels Limited Edition Ultra Facial Cream 125ml, as designed by Tinie Tempah. 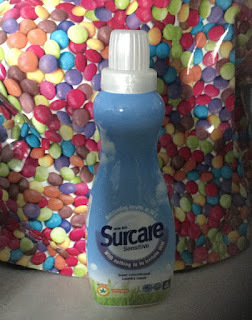 I am a Surcare blogger and this is my first product test for them. Lexie has already grown out of her other School Skirts, quite shocked about this already. Think she needs the next size up of clothes now in general. On Saturday we got the chance to go to a Brewers Fayre at The Guild In Birmingham to have Breakfast with Santa. After a very late taxi and a lot of tears as Lexie thought Santa would of been and gone by the time she got there. Every year we take the kids to see a Santa and I absolutely hate it. Last year we queued for an hour paid £6 each for them to literally get a photo and a minute of santa's time before the next lot of children are rushed in. Despite the tears and moaning waiting, everything is forgotten once the visit has been and done. I don't find the visits very magical myself, but we do them every year to keep the magic alive for the kids. The staff was really friendly and you could help yourself to the continental breakfast and drinks while you was waiting to have your meet with Santa. Each table was called up and you had as much time with him as you wanted, there was no rushing and the Santa really engaged with the children, with comments " like haven't you grown since last year" really talking and listening to both of them. I think it's the first time ever that the kids have ever had a conversation like that and Lexie was utterly thrilled with it all. She hasn't stopped talking about it since. 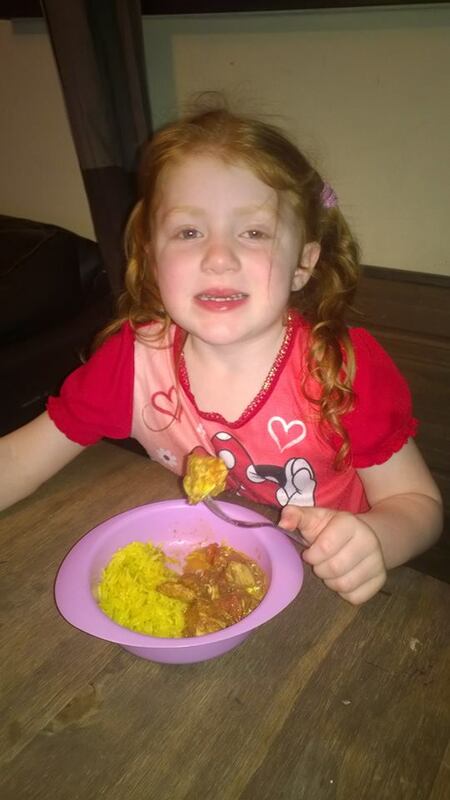 Santa asked her to save him a sausage so Christmas Eve she now wants to leave a sausage and milk for him. He was a great Santa and I think it's one of the best we have seen, a decent suit, a real bead and one which you can tell he enjoys giving the children he sees the magical moments that come true for them. Santa even came and had a little play in the play area too, once everyone had finished their breakfast. The breakfast has a huge choice of different continental items, I don't think I've saw a range that big before. I've never saw crumpets on a continental breakfast before and they are one of my favourite things to have for breakfast yum! We want to say thank you for the magical experience this year and the invite to Breakfast With Santa. We have already planned to go back to The Guild for a day over the Christmas period. If you want to book your Breakfast with Santa this year then check here for the website. Breakfast with Santa is priced at £8.99 per child, which I think is a great price for all the treats you get. 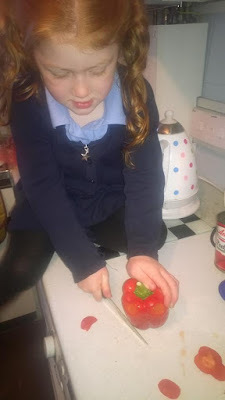 We was thrilled to be asked to join in with Tesco's Eat Happy Project which are a selection of videos to get children cooking and busy in the kitchen. I don't cook much with Lexie at home normally, unless it's the more simpler things like cakes. 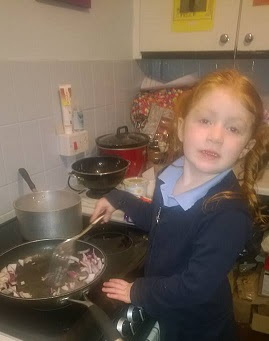 The Tesco Eat Happy Project, working with the Children’s Food Trust, launched an exciting new online cooking series called Let’s Cookalong over summer. 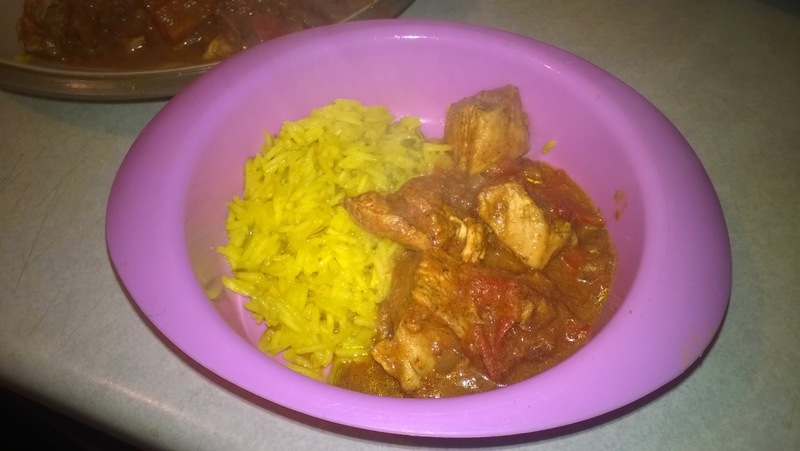 New videos were released each week over the course of the six-week summer break, showing how to make a whole host of tasty recipes, designed for parents and children to easily follow together. 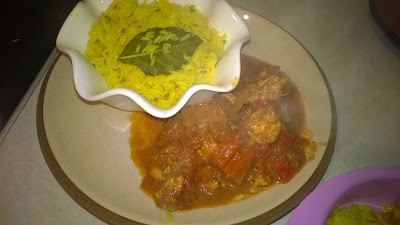 Each week, Let’s Cookalong followed a different theme including Picnic, Italian, Moroccan, BBQ, Indian and Baking, with helpful prompts like ‘pause’ to make sure nothing is missed. 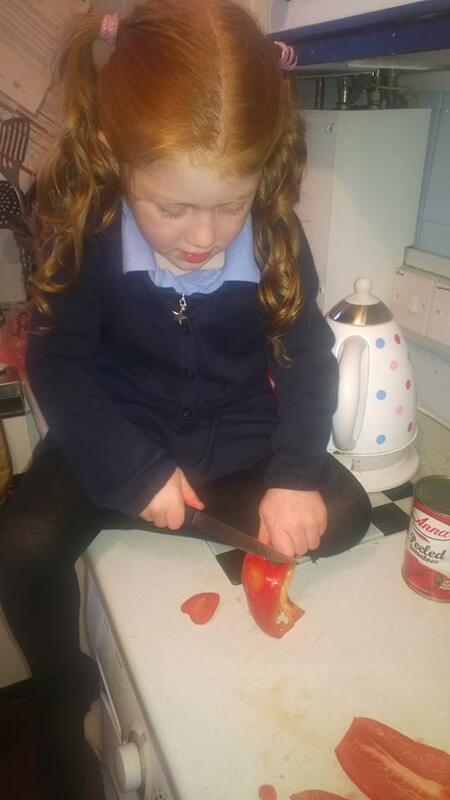 Supplementary videos will also teach essential kitchen skills such as chopping and grating. We got to test out the Indian Theme and chose the Rogan Josh & Pilau Rice recipe. Lexie was really excited to get cooking with me and it's something I'm going to more together with her. She enjoyed helping me chop up the vegetables and stirring food in the pans. The video was really easy to follow and I like how you can just pause it while you carry on. Lexie liked this feature and she enjoyed making sure all the items was there and following what was happening on the screen. The videos are something we are going to go back to and try another one as they was so easy to use and useful. 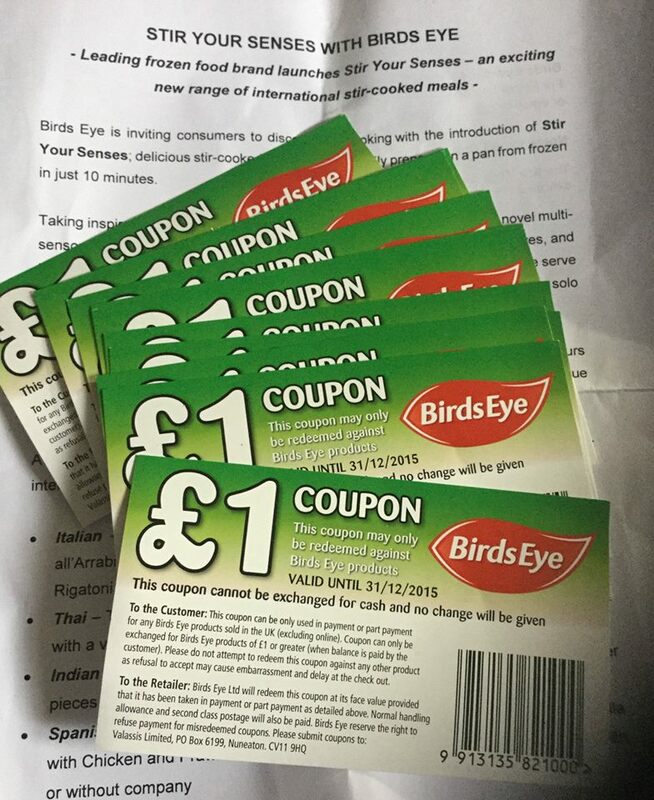 The Recipe Cards are a great bonus to use as a shopping list for you and the little ones too. 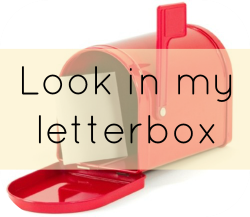 I had an email last week to say how much someone liked my " Look in my letterbox posts " and amazed how much stuff I get every week. These little messages and thoughts keep me going doing my blog and I'm really happy people like this weekly post. 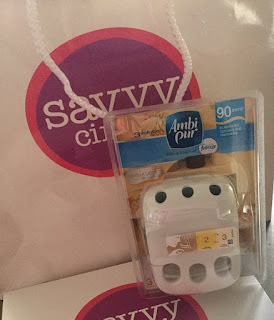 I want to thank Alice for holding a great linky every week. Lots of exciting things in the post this week. I haven't done a likes and loves post for ages, so I thought I would do a round up of some fantastic items that have caught my eye or I have received though the post! So first up is a new ' No Added Sugar’ Chocologic chocolate, that's right you read it totally right. The no added sugar concept is the the main sweetener alternative – Steviol glycosides, more commonly known as Stevia. It’s a natural sweetener and sugar substitute extracted from the leaves of the plant species, Stevia rebaudiana. The naturally sweet plant extract tastes delicious when combined with the cocoa in the Chocologic range and will appeal to chocolate lovers everywhere. 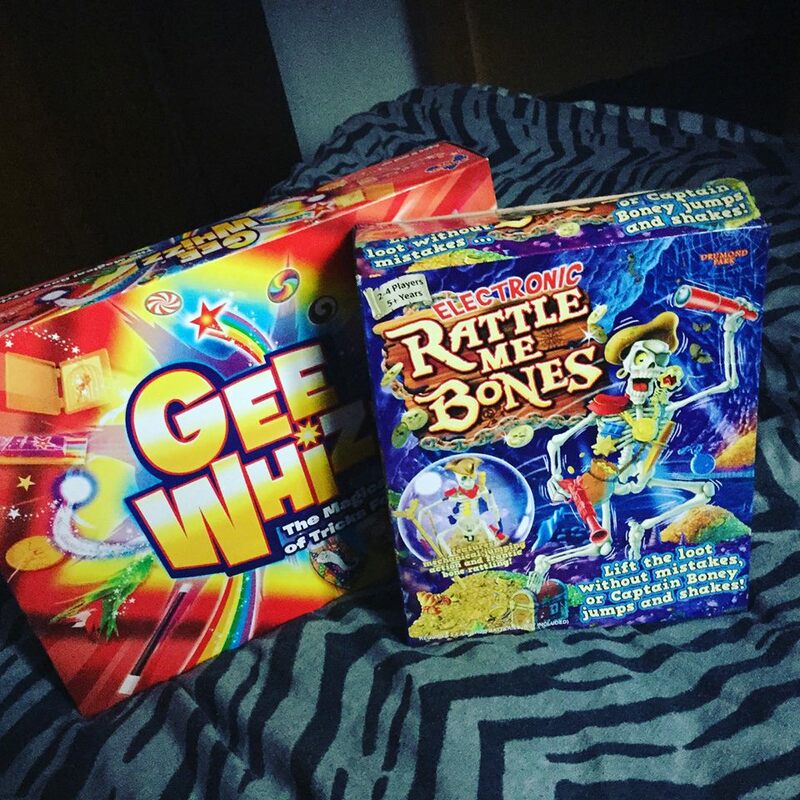 Honestly we did a taste test, I didn't tell the kids or the other half and we couldn't taste the difference at all. It was still full of flavour, sweet and creamy. With 60% less sugar it's a winner all around. Next up is Muddy Puddles. I have been a huge fan for a while, I love Muddy Puddles prints. They are bold, unique and they are great for spotting the little ones. Both kids have had little mac's before but I was going for a more winter coat this time. So we picked some of their famous snow furry ski jackets. 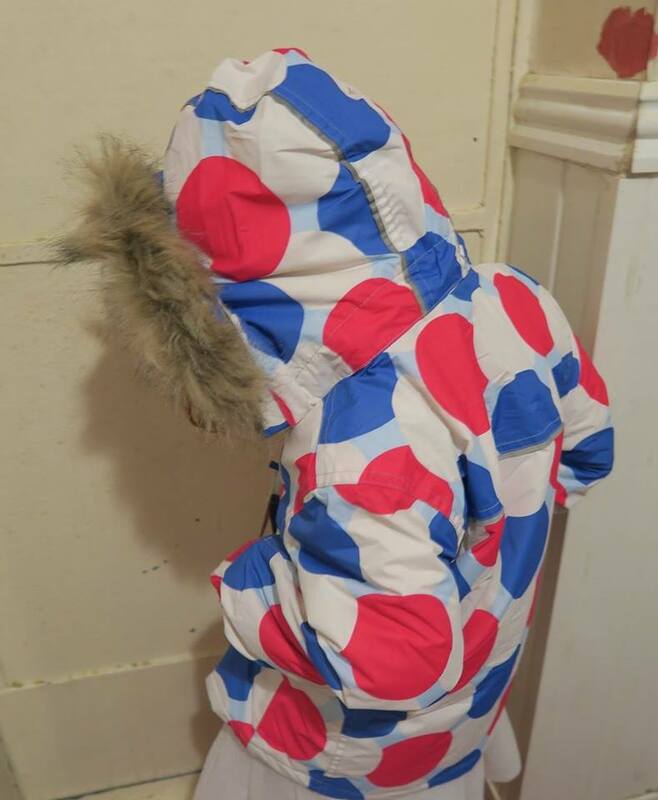 I like the kids to have a really nice thick waterproof jacket for Winter, something that will keep them dry and warm. These jackets are meant for snow, ski's and windy slopes, so they are wind proof and fully waterproof to deal with extreme weather. 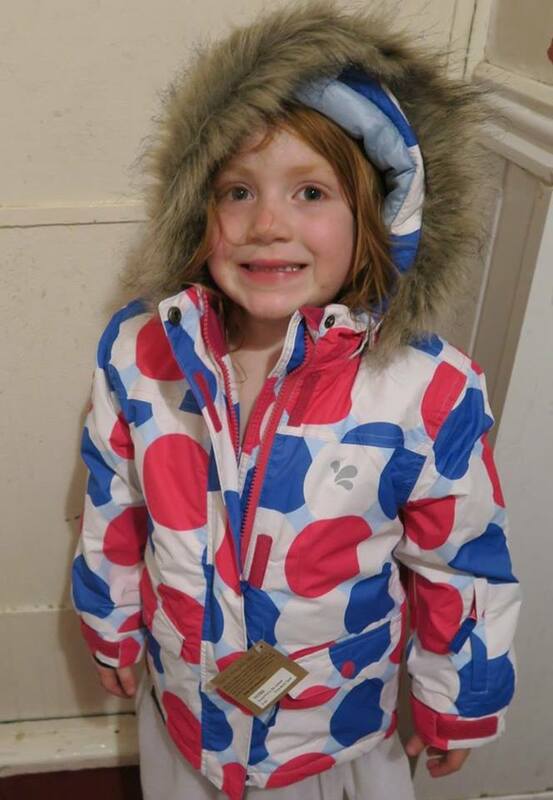 The Snow Flurry Ski jacket uses our Puddle tec 3 technology and is 5,000mm waterproof. We ensure the waterproofing of this jacket with the DWR (Durable Water Repellent) coating which penetrates the fabric so that it forms a honeycomb structure with billions of micropores. The pores are too small for water droplets get in (making it waterproof) but large enough to allow moisture vapor through (allowing it to be breathable). The coats are true to size and are a nice thickness. Inside there is a fleecy lining to keep you snug and warm. The coats comes with YKK yank proof zips that can handle the rough and tumble of young adventurers and has reflective strips and logos for added visibility when you are out and about. They come with a detachable hood and two pockets with zips. I was browsing Twitter a few days ago and I came across this stunning dress. 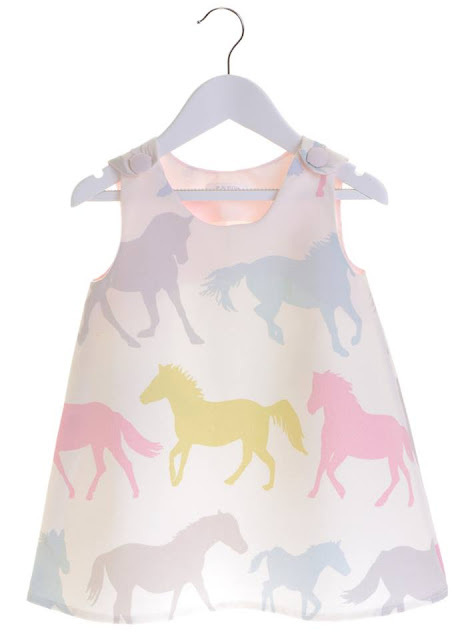 Lexie is a huge fan of horses and I thought this dress was so pretty. This fully-lined children’s dress, made from 100% cotton, with matching covered buttons is perfect for any little girl’s wardrobe. It comes in white with a delightful horse print full of sorbet colours and is handmade by Elsie & Fleurs own Rachael Knott. Ages from 12mths to 7 years. 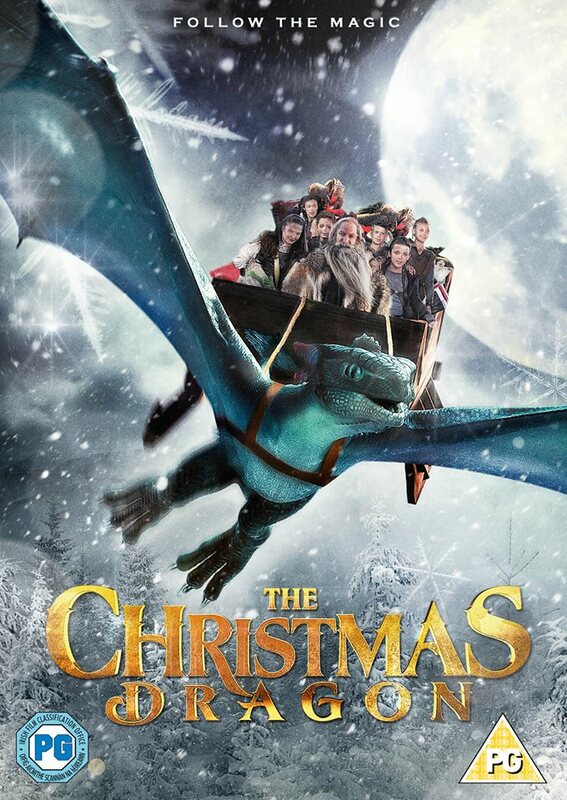 The Christmas Dragon DVD is the next thing on the list and you can win yourself a copy too. I am a huge fan of anything that is Christmas related, as a family we love to watch new films together. We got the chance to watch a new film which is fantasy adventure in the spirit of The Lord of the Rings series and How to Train Your Dragon. 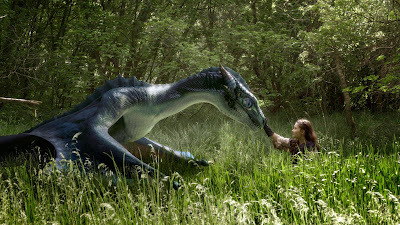 The film itself is full of action, fantasy and actually reminded me a bit of The Never Ending Story. 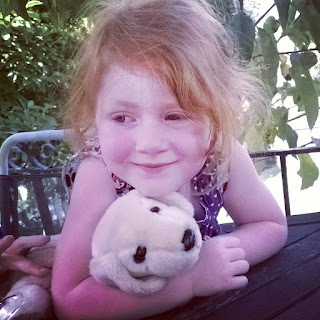 It's great for little ones and both my children enjoyed it, restoring magic in to Christmas. 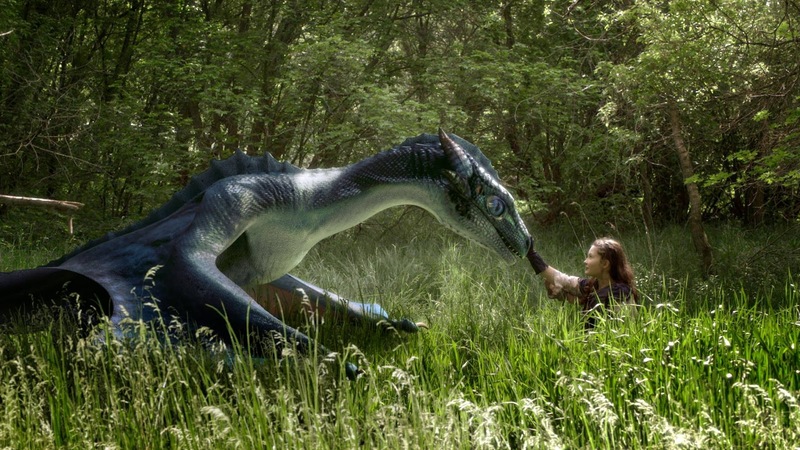 Young orphan girl, Ayden, receives a magic crystal from a dying elf, with a warning that the North has lost its magic. With her courageous friends, a mysterious warrior and a beautiful elf she begins a perilous journey; escaping dragons, goblins and ogres to return a stolen Christmas orb to the North. When Santa’s magic cannot overpower the growing evil forest, Ayden and her friends must deliver the precious orb on a sleigh pulled by a young dragon, to restore Santa’s magic and save Christmas. Starring Bailee Johnson, Jake Stormoen, Adam Johnson, Melanie Stone. Directed by John Lyde. Win your own copy below, please follow the Rafflecopter below. Novembers Pop In A Box subscription is here and it's two that I've put away for Christmas for the kids. As I scrapped my Horror Block and it's Christmas next month I've upped my subscription to SIX Funko's next month, so exciting! 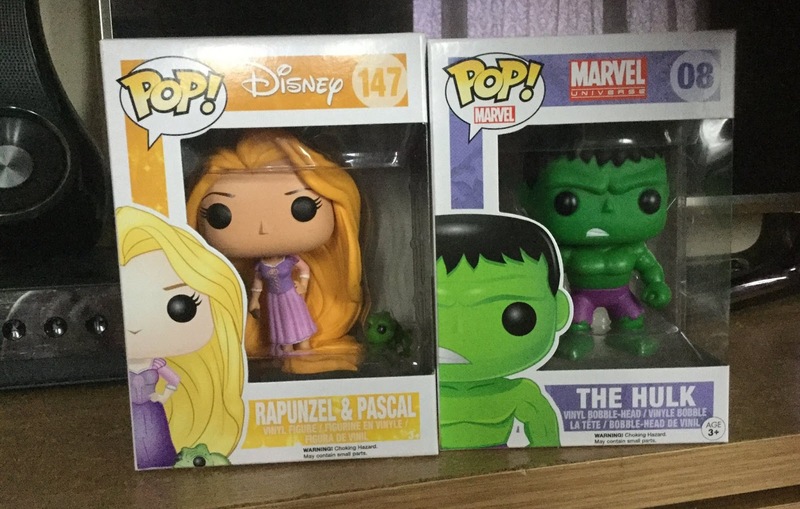 The Hulk & Rapunzel was this months Funkos. Love how Rapunzel has mini Pascal with her he is so cute! A couple of weeks ago I entered a competition on Lalaloopsy Facebook page which was a bit different to their normal #SewSaturday competition. You had to send a picture of a bake that you had done. I entered Raiden's Cookie Monster cakes which was his first go, they wasn't perfect but they tasted delicious. The photo was a winner and we was invited to Primose Bakery in Covent Garden in London for a cake decorating class. 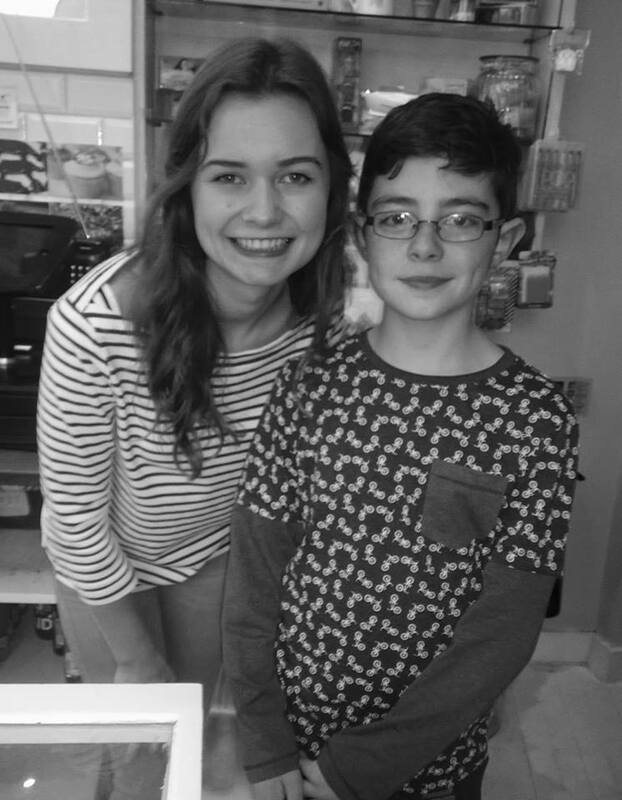 They had a special guest Martha Collinson from season 5 of The Great British Bake off. 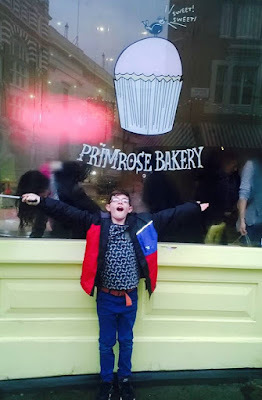 We had a very wet and rainy trip to London and Raiden was super excited to go he loves to decorate cupcakes and he does really have a flare for colours. The Bakery is a very cute chic place where the staff was super friendly and they had some amazing cakes on display. We had an amazing time and Raiden produced these amazing cupcakes. 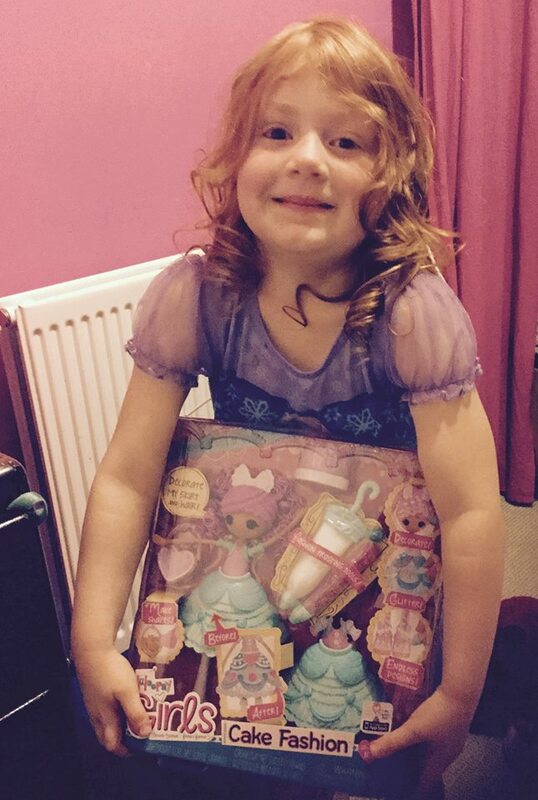 We also received a Lalaloopsy Girls Cake Fashion Doll, which Lexie was thrilled with when we got home. She is a huge Lalaloopsy fan she loves all the different hairs and bright and bold colours. These dolls have recently been launched and are great for creative children. With pretend frosting you can design your own skirt, shoes and even hair using the special piping tools and fake frosting. You can wipe the design off and start again, so if you fancy a change in design you are good to go again & again. 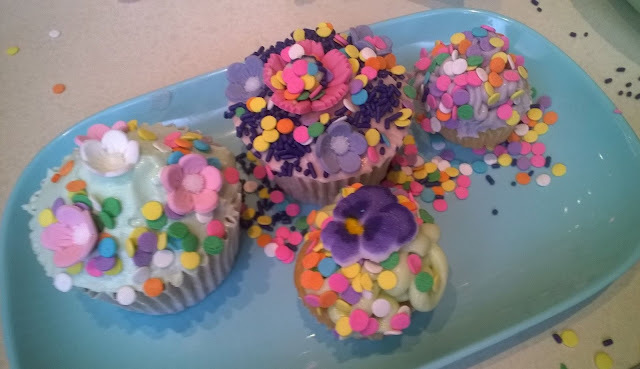 The accessories are all part of the design with the parasol that is the frosting bag and the cupcake purse is actually a little mould inside where you can add designs made from play dough too. A special thank you too Lalaloopsy and Primose Bakery for a fantastic class.